This article is featured in NPQ’S fall/winter 2011 issue. These days, a nonprofit communicator must be quick. Quick to learn new tools, new technologies—and how to appropriately apply them to his or her organization. But over the past eight years, we’ve seen the rise and fall of social media giants like MySpace, Google Buzz, and Delicious. Those that invested their own and their organization’s time and resources into these tools may have felt burned by the social media bandwagon. Social media can be confusing and overwhelming. 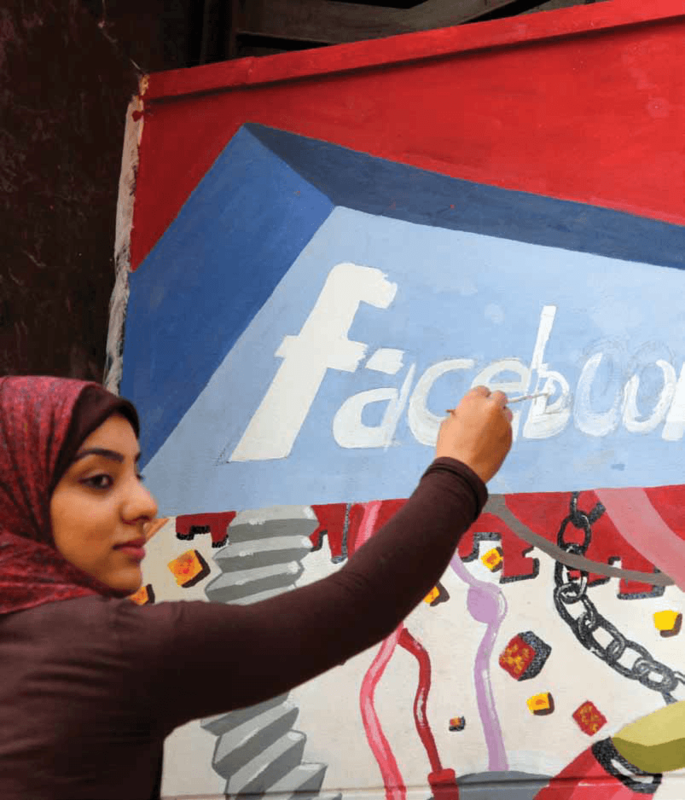 At the same time, there is a lot of pressure for nonprofits to embrace social media and engage with donors, volunteers, and supporters using tools like Facebook, Google +, and Twitter. In this article we explore why, why not, and how to use social media to the best advantage of your organization. Nonprofit communicators are often skeptical—and rightly so—of the new tools out there. Why should organizations shift resources away from what has proven to be successful to this vague concept of the social web? Below are the four most frequent points raised as to why organizations should think twice before heading down the social media path .?.?. and reasons why those points don’t necessarily hold up. 1. It’s a fad—it’s going away soon anyway. . . . When the Causes application pulled out of MySpace, in 2009, it effectively removed any ability for nonprofits to fundraise using the tool. There were 40,000 nonprofit organizations with profiles on the social networking site at the time. 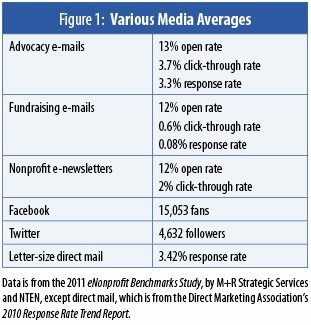 Early nonprofit social media adopters had flocked to MySpace as a way to further connect with their audiences and raise a few extra dollars. They spent time figuring out what Causes meant for their organization, how to use it, and how to raise money on it. And then the tool up and changed, leaving them in the lurch. What’s to prevent that from happening to other tools, like Facebook, Twitter, or YouTube? Well, nothing, really. Tools come and go. Their population may soar and then plummet without notice. They may change the rules midcourse. That’s the scary part of the fast-moving world we live in today. That said, we can say with some certainty that social media is here to stay. It will evolve and likely turn into something barely recognizable from the social media we know and use today. The growing mobile culture is already changing the way individuals interact with organizations; nonprofits, in addition to for-profits and public sector groups, must evolve with it in order to keep up with their audiences. Still, no one, not even Mark Zuckerberg, can guarantee that Facebook will be around in fifteen, ten, or even five years. Nonprofits should invest in the concept of being social organizations rather than becoming stuck on a single tool—or even group of tools—that they use to make that happen. Be open to engaging in online conversation, whatever the tool may be. Use tools that make sense in the moment, and don’t feel that the organization needs to make a long-term commitment to that tool. If the situation changes, be flexible. 2. What’s the ROI? I can’t see that it’s worth it. . . . Many people think that organizations should use social media because it’s free. But social media management is free like a puppy is free. While setting up a profile on Twitter sites may cost zero dollars, its management requires constant care and feeding. And, unlike a puppy, as you train social media it needs more and more—not less and less—attention. There is a huge opportunity cost: smart managers understand that if they dedicate one or more staff to manage social media, those resources will be diverted from existing work. So if you know that your e-mail campaigns and your website are working for you, why would you move away from the tried-and-true tools to others that may come and go? As our communications toolbox grows, it is becoming more and more difficult to determine cause and effect of particular messages and methods. If a homeless shelter posts a photo and a link to donate on Facebook, sends an e-mail, and sends a direct mail donation appeal, it becomes difficult to determine which method will have motivated donors who received all three campaign methods. We can easily see the results of our efforts when a potential donor returns a donation envelope that was mailed to them, clicks on a link in an e-mail, or lands on a donation page on a social media website. And we know the statistics, as demonstrated in figure 1 (below). But what we can’t tell from those statistics is how these messages may build upon one another. A decision made after reading a Facebook post may be acted on when an e-mail reminds a donor. A return on investment may also be skewed during the building period of a social media ?strategy. As a nonprofit builds its social media presence it must start at zero followers and fans. An organization must expend considerable effort just building its numbers. An organization’s Facebook fan page with only 100 fans compared to the same organization’s e-mail list of 10,000 can seem like wasted effort. But social is as social does. Any social profile must reach a sort of tipping point before its fan base can be leveraged. In order to reap the rewards of social media, every nonprofit must put in its time building a base. That can be a difficult pill to swallow, because during that time you may have little participation and low outcomes with respect to your goals. The time it takes an organization to leverage its base depends on how much time and effort it chooses to put into it. 3. People will say bad things about us. . . . The argument here is that if you build it, the naysayers will come. Providing a Facebook page invites those who don’t think too kindly about your organization to post their negative comments for all to see. There have been some very public examples of this in the for-profit world. Comcast, American Airlines, Southwest Airlines, and Dominos Pizza have all found themselves in a PR crisis because of social media posts. Some of these companies have fared better in the social media world than others, but one thing they all learn is that people—donors, volunteers, supporters—are already talking about them. In other words, the social media tools are not the issue. A donor may tell a friend about a great mentoring group that she donated to, or a volunteer may take a picture of himself packing grocery bags for a local food shelf, or a client may talk about participating in an English-as-a-second-language class. Social media is merely a tool each one may have selected as a means of expressing his or her feelings. The uniqueness of social media is that it allows organizations to be part of the conversation and respond in ways that it would not be able to do in other forums. While negative comments are a concern, a bigger concern is lack of participation. Social media is inherently about conversations. If you sit down for the conversation and no one joins you, it can make you feel silly. Participation takes being an active listener and contributor to the broader conversation. Nonprofits that post on social media only about their upcoming events or where to purchase supporter T-shirts and mugs will have a tougher time breaking through the social barriers. Consider the friend who always turns the conversation back to him- or herself. Savvy nonprofits will learn to use social media to engage with people in a two-way or group conversation. 4. Our supporters don’t use social media.?.?.?. Really? Many organizations are happy to find that their donors, volunteers, clients, and supporters are interested in connecting with them on social media sites—but it is true that not all will be interested. When exploring a new medium, an organization should evaluate its audience. When communicating with an audience, any good marketer will learn to go to where the audience is and not try to entice them to a whole new space. Just as successful retail stores are located on busy intersections with easy access, nonprofits should position themselves on busy social media sites if that is where their desired audience is spending its time. Currently, Facebook has more than 800 million active users. Women make up 60 percent of those users (see figure 2, above). In the United States, in 2009, African Americans made up about 10 percent of Facebook users, Latinos about 8 percent, and Asian/Pacific Islanders about 6 percent. This matches proportionately with all Internet users in the U.S. 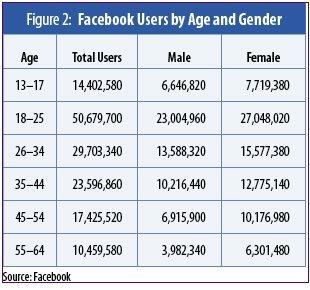 The smallest group of Facebook users, those between the ages of 55 and 64, is also one of the fastest growing. So though an organization’s audience may not at first use social media, they very well may later on—something that is worth reassessing every year. Organizations that have been using social media for years—and those that are just beginning to use social media—would do well to pay careful attention to its impact. Social media should be viewed as a tool that can be used toward reaching an organization’s overall strategic goals, and the only way to measure the impact that social media is having on your organization is to come up with an evaluation method that best suits your particular objectives. Most nonprofits indicate that they are tracking their social media use in some way. Counting the number of fans, followers, visits, or likes are the norm. Knowing that you have 1,378 followers on Twitter is great, but what does that actually mean? Nonprofits need to ask themselves, “Why are we using social media?” The answer probably isn’t to have a thousand likes on Facebook. It’s important to think about the root purpose your organization has for considering social media as a tool. Is it to help raise money? To recruit volunteers? To educate the public about a problem? Once you have defined your purpose, you should connect that to your evaluation of social media use. What does it mean to have a thousand likes? Is that translating into more volunteers, more donations, more education about your mission or your issues? Evaluating social media can be tricky. Organizations should follow three steps in beginning to measure their efforts: determine the reason (and create a logic model) for your organization’s social media use; lay out some concrete outcomes for social media use (you can take these from the logic model if you have one); and match the evaluation methodology to your needs. The first step an organization should take is to create a logic model for its social media use. Sit down and really think about your social media strategy. Who will manage your Facebook page? How will you keep people interested and involved? Will you invest in custom-designed features or branding? Determining your inputs is the first step in putting together a logic model. The next step is to outline your activities and outputs. These are things like staff time to update your social media tools, the number of fans, likes, or followers you have, and the discussions that take place on social media. The last step is to determine your short-term and long-term outcomes. For this, you will likely refer back to your organization’s mission or strategic plan. This is what your ultimate goal for using social media will be. Having a logic model will allow you to refer back to why you are doing what you are doing and will help in determining whether using social media is a worthwhile investment for your organization. Pick the outcomes you want to measure for your social media use. These should be concrete, such as raising money for a new homeless shelter, getting five thousand people to lobby in support of legislation, or bringing ten new volunteers on board. Evaluation can consist of anything from a poll on your Facebook page to a dozen focus groups with your target audience. Once you have determined the outcomes you plan to measure, you can match a methodology to fit your needs. Picking a methodology will depend primarily on two things: (a) budget and (b) information needed. If you have a small budget (or no budget) you likely won’t be conducting focus groups, which require incentives, food, staff time, transcription, and analysis. Similarly, if the information you are looking for is numbers-based (for example, the percentage increase in the number of youth staying in school), you will probably not be conducting interviews that won’t provide the necessary breadth of data. A human service organization may use a blogging tool to help teach English to ESL students. An animal shelter may post pictures on Facebook of animals available for adoption. An advocacy group may use Twitter to mobilize a gathering at the Capitol in support of their issue. A senior support group may use a variety of social media tools to market new services to families and friends of seniors in need of Medicare form assistance. A theater may post photos on its website of production crew backstage to create buzz for a new musical. Christine Durand is communications and marketing director for the Minnesota Council of Nonprofits; Kristen Cici is founder of The Advancement Company, which provides evaluation assistance to nonprofit organizations, government agencies, and educational institutions. Social Media Use (Outcome to Measure): Uses Facebook to recruit new foster homes for dogs and cats. Would like to measure whether Facebook is an effective means for this. Recommended Approach for Evaluation: With the budget and information need this organization has, a survey would be recommended. A monthly membership in an online survey service would cost less than $50. The organization should develop a survey to ask questions getting at two main focuses: (1) How did people first hear about the opportunity to foster? ? (2) How do current fosterers get their information about new dogs/cats coming in? Survey questions should be developed with these two focuses in mind, which will provide information relating to whether people are first hearing about fostering through social media, whether the organization is saving staff time because potential fosterers are hearing about incoming dogs/cats through Facebook (versus staff having to call/e-mail all the potential fosterers), and more.